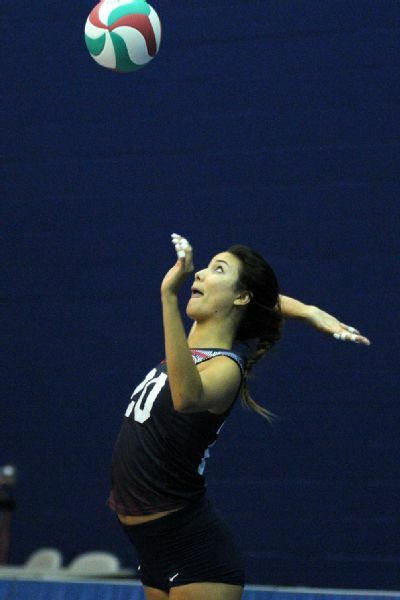 Outside hitter Lexi Sun, considered the top volleyball recruit in the country, is headed to Texas next fall. The Red Zone refused to relent. Energizing its home gym in Solana Beach, California, Santa Fe Christian's student section jumped and shimmied and yelled "Bounce! Bounce! Bounce!" before each Long Beach Poly serve in the first round of the state Open Division playoffs last month. SFC's 6-foot-2 senior outside hitter, Lexi Sun, the nation's top recruit who recently signed with Texas, logged a forceful kill in the second set that landed into the Zone. Her classmates clawed to get a fingertip on the ball, fighting for position the way fans at a concert vie for a pop star's tossed hairband. She can do things that very few people in the world her age can do. Sun, the 2016 ALL-USA Player of the Year, kept her cool as Poly fought back, 24-22. Sun smiled, patted a teammate on the back and, in a blink, threw down two monster kills with ease. "It's like she floats and then a cannon goes off," said Brad Sandusky, SFC's sports information coordinator, shaking his head at the scorer's table. Behind Sun's 25 kills and three blocks, SFC defeated Long Beach Poly 25-21, 26-24, 25-22. Sun, who has attended the school since kindergarten, looked back at the net. She has spent hours here perfecting her swing. "Things aren't just going to be given to you," Sun said. "You have to truly work day in and day out for the things you want. You can't take days off. You can't take plays off." Two hours before the Poly match, Sun helped take down the basketball hoops from the boys' practice and began dribbling a volleyball. "Can you dunk?" a boy asked. "I haven't really tried," Sun said. With a jump touch of 10 feet, 9 inches, she probably could. Her father, Conrad, played basketball for Sacramento State and for the Taiwanese national team. Her mother, Beth, was a competitive swimmer. Her brother, Marcus, played basketball for Wheaton College, and her sister, Natalie, was an NAIA All-American soccer player at Azusa Pacific. 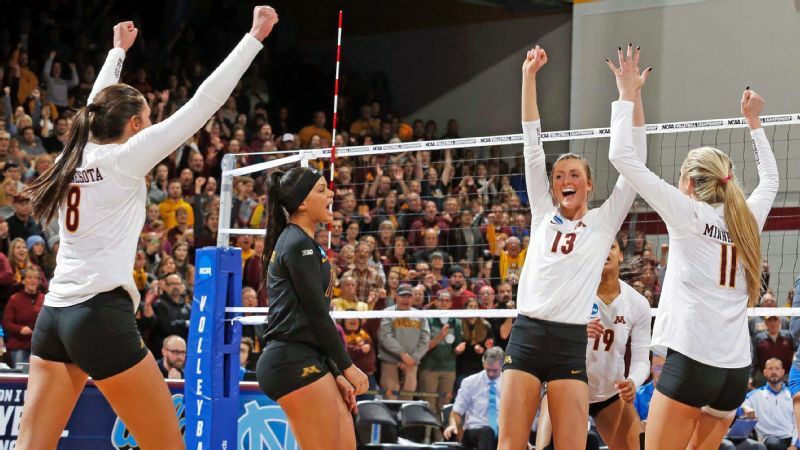 Sun, an Under Armour High School First Team All-American, was awarded the 2016 Best Spiker Award for the U.S. Junior National Team. She's also a four-time all-tournament team honoree at the USA Junior National Championship Tournament. "She can do things that very few people in the world her age can do," said Ozhan Bahrambeygui, her coach at Coast Volleyball Club. "She's explosive. She has an attacking range that very few people have. 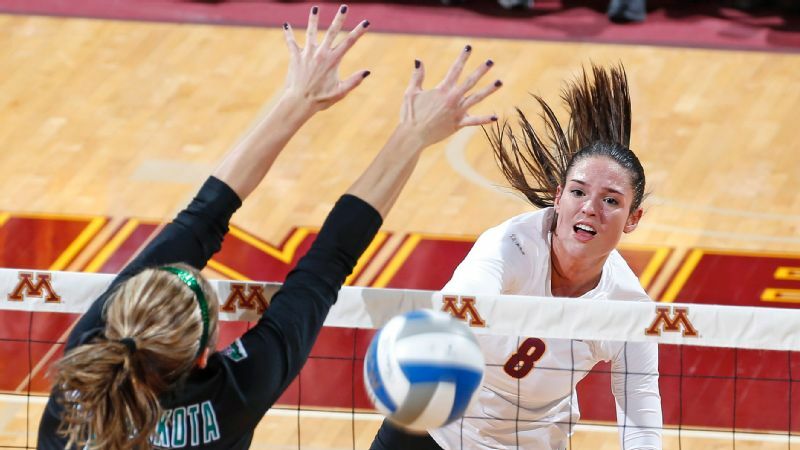 She has an elastic arm, she picks great lines of attack and she's a super-dynamic blocker." She might even be a coach. Before a league match against rival The Bishop's School (La Jolla, California), Sun walked to the front of the locker room after coach Amanda Miles finished her pregame speech. Sun, hardly ever seen without a smile, grew serious. She paced back and forth in front of her teammates. "When she's talking," senior Sami Shields said, "everyone listens." Sun's energy radiates. She relishes debates. She jumps and waves and shouts friends' names when she sees them across the football field. She's the first to break out on the dance floor at homecoming. She sings shortly after waking up at 6 every morning. Her pregame speech for Bishop's started off slow. "All right, guys, it's game day," Sun said, raising her voice as each second passed. "We can DO THIS," she said. "We don't have ANYTHING to lose." Sun finally exploded. "THIS IS OUR GAME!!!!" SFC pulled off the upset for the first time. "Everyone was asking, 'Wow. Where did that come from? I haven't seen you play that kind of volleyball in a while,' " Miles said. "It might have been the pregame speech." Sun asks Miles to stay after practice every day for extra serve receive. Even when Miles implemented more into practice one day, Sun still asked to stay later: "Just 10 more minutes, Coach," she said. "Just 10 more minutes." "She wants to challenge herself," Miles said. "It's her way of saying, 'I'm not going to take the easy way out.' "
Eleven-year-old Sun cried, screamed and kicked in the car ride to her first-ever volleyball practice. She had been a soccer player, a forward, on a team that had won back-to-back State Cup championships. 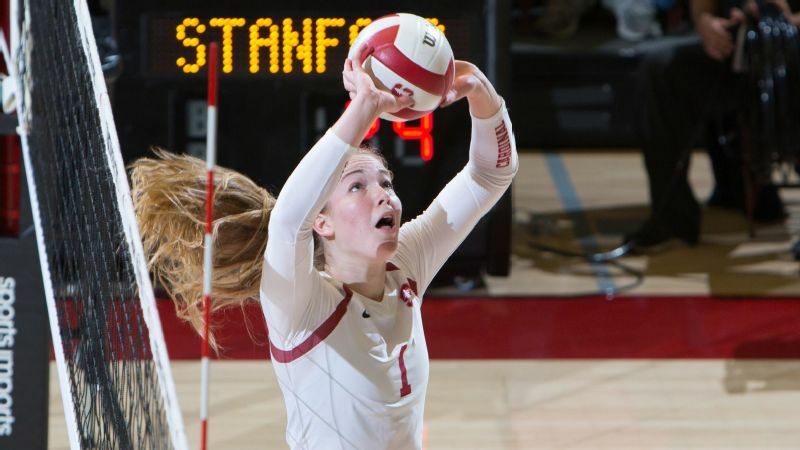 Her parents suggested she try volleyball, as she had sprouted to 5-10. If she didn't like it, she could quit. Sun hated it. Her mind understood the coach's directions, but her body couldn't translate them into movements. She huffed after every mistake, bursting into tears when her parents picked her up. 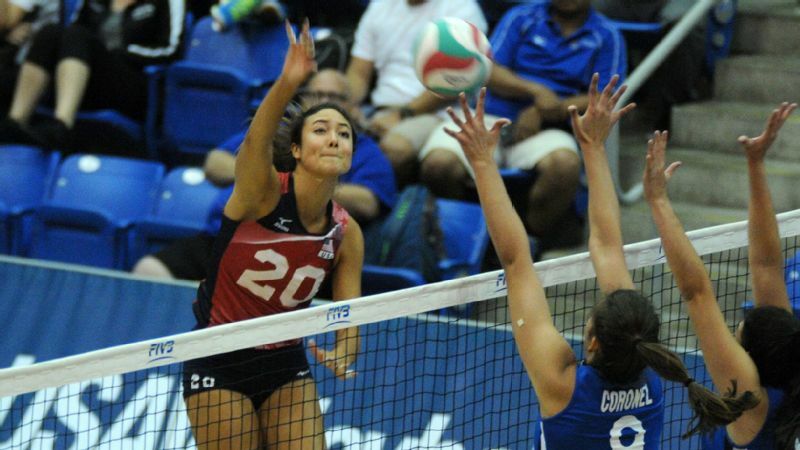 Lexi Sun won silver with Team USA over the summer at the 2016 NORCECA U-20 Continental Championship. Once Sun made friends, she began to have fun with the sport. Then she began to like it. Then she began to love it. Then she began to need it. The game came easy -- she was tall, she jumped high -- and she received her first college letter in sixth grade. Then, she faced women more experienced and, in some ways, more talented than her. Just a freshman, she was the youngest on the USA U-23 national team that competed at the world championships in Mexicali, Mexico. She hardly left the bench. "It was a humbling experience," Sun said. "When she came back from that," Conrad said, "I think her experience was, 'In order for me to get to the next level, I need to work really hard. I want to own this. I want to do this for myself.' "
She continued to be challenged, becoming the leading scorer on the U-18 national team that won silver in Peru in summer 2015, her junior year. Coach Jim Stone, who would make the team redo plays until they were immaculate, challenged Sun to limit her hitting errors, something she struggled with. "I would always get away with making those little errors and people would just say, 'Oh she's young, she still has to grow, she still has time,' " Sun said. "I think that made me realize, 'OK. Now's the time. There can't be any more excuses. I need to find a way to get better.' "
Sun, who helped USA's U-20 national team earn silver at a tournament in Florida last summer, practiced religiously. She received hundreds of Division I letters, which didn't stop even after she verbally committed to Texas in April 2015. 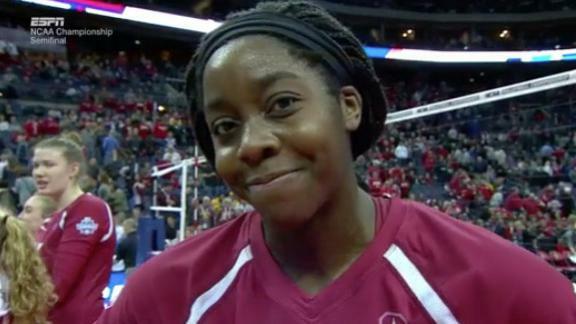 As the nation's most sought-after recruit, she was constantly told how "great" she was. Her parents weren't having it. They rarely talked about volleyball, not wanting Sun to get caught in the hype and lose her drive. "It was, 'Get your homework done. Let's get dinner. We're going to church.' Regular stuff," Beth said. "We're still like that." 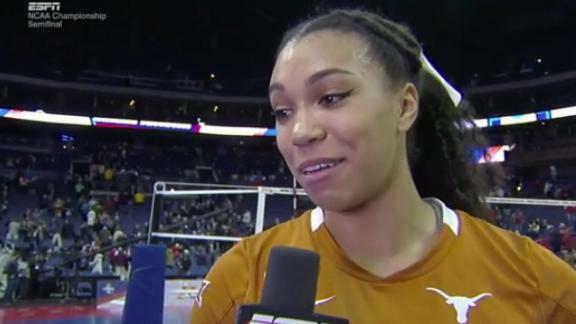 Sun, who also considered Stanford, USC, UCLA, Washington, Penn State, Nebraska and Minnesota, said she felt a connection with Texas beyond volleyball. 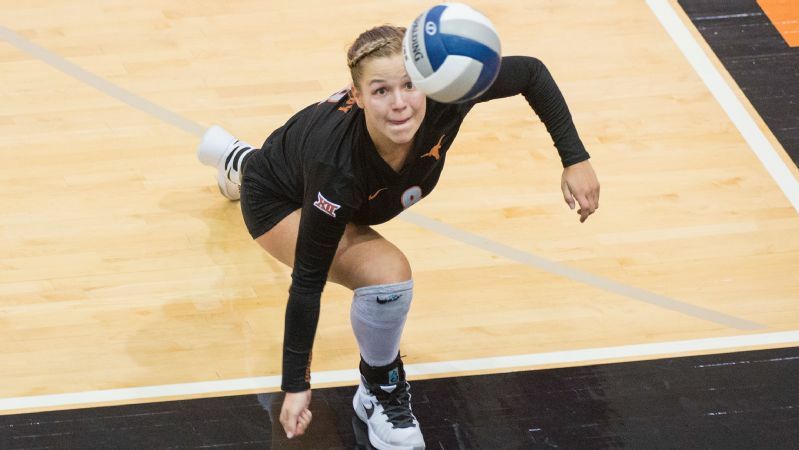 After staying for seven hours on her first visit, and getting to know the coaches, players and even former Longhorns, Sun felt Texas was the best fit. 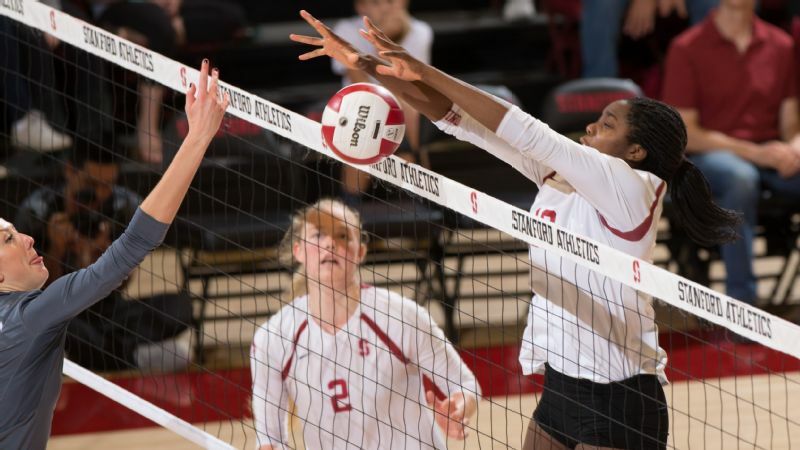 Texas, which already features some of the best outside hitters in the nation in sophomore Micaya White, junior Ebony Nwanebu and senior Paulina Prieto Cerame, plays Stanford Saturday (9 p.m. ET, ESPN2/WatchESPN) for the national championship. Aiming to play at the U-20 world championships in Mexico this summer, Sun already is preparing for the challenge of college ball. "You always have to work for something worth having," she said.